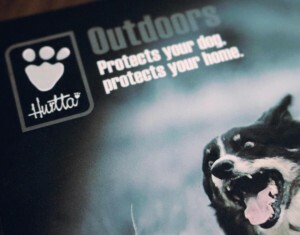 Clever Dogs Training School Ltd reviews Hurtta. 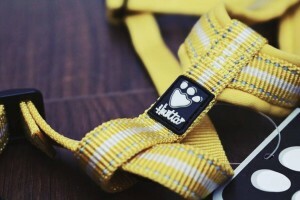 Based in Kupio, Finland, Hurtta are said to be the go to guys for the ultimate outdoor clothing for dogs. With our own huge base of dogs and in constant battle with English weather, we wanted to test some of the Hurtta range to see if this company lived up to it’s reputation….and Hurtta were up for the challenge! First up to be put to the test was the Hurtta padded Y-harness. Described as highly durable, machine washable and including 3M reflectors built in to an ergonomic design, we decided to strap up our most daring student, Elwood. A deep chested dachshund, Elwood is not known to shy away from the opportunity to undress himself, dive into holes or take on the biggest dog in the park. Surprisingly, Elwood happily accepted the harness when it was put on him with no prior conditioning and even more surprisingly, fitted him perfectly…something that because of his large chest cavity has proven difficult in the past. Despite our initial delight in how well Elwood took to being harnessed up, we were convinced that Elwoods escapades would soon see to that. But we were wrong. The harness has endured several rounds of poop rolling sessions and the resulting machine washes, yet still kept its bright colour and stylish design. It has also withstood several underground searches in which not only has the harness stayed put but doesn’t seem to have distracted Elwood from completing his missions. We began to ask ourselves if we had finally found a harness available that not only fitted perfectly but lived up to it’s high reputation. And in our opinion, the answer to that was yes! Next up for testing was Hurtta’s Summit Parka coat. Claiming the same benefits as the Y-Harness, the parka also features their popular Houndtex material, which provides effective protection from cold, wind and frost. For this product we chose two crew members, Spanner, a young working cocker spaniel puppy and Lola an active collie that has Hip Dysplasia. As with the Y-harness, we were initially impressed with the fitting of the coats on both dogs, providing a clean and comfortable fitting that was easy to do and which both dogs were happy to wear. As English weather would have it, we trialled the coats on a very cold day, with icy conditions in the morning later turning to rain and wind in the afternoon. Spanner, who is still experiencing different types of environments and weather conditions proved unfazed by the icy patches and to our delight, so was Lola, who can be reluctant to move and yet was zooming around too, which said to us that despite the comfy fit, still allowed the dogs full range of movement. For us, this was confirmation of just how much insulation the parka could provide. As the day progressed along with the weather conditions, the parka was next to be subjected to heavy rain. After training had finished, the dogs and their parkas were given a short break. As we removed the coats, you could see the water fall off the outer layer and were completely dry after being hung up for only 20 minutes. Even more impressive was that the parkas, despite being in muddy conditions, did not appear to be that dirty. The dogs were dressed once again in their parkas, which they eagerly accepted this time and continued to play and explore as they would normally for the rest of the day. In summary, both the Y-harness and the Summit Parka exceeded not only our expectations, but also in our opinion delivered above and beyond their own selling points. With so many dogs, including our own students, who need to wear harnesses and coats that must be fit for purpose, we would highly recommend Hurtta products and can only say that Hurtta didn’t just live up to their reputation….they absolutely smashed it!